Who is the Fallen Angel? He is Lucifer, also called Satan or the Devil. He was an angel before he fell from heaven and became the Devil. 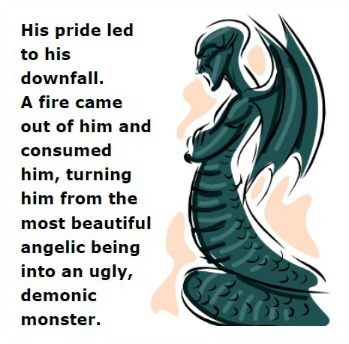 The following excerpts are taken from the book, Revealing the Truth about Angels and Demons (author: Bright Kusinyala; editor: Ursula Lang). They tell us how Lucifer and his supporters became the fallen angels. How did Lucifer become the Fallen Angel? God created angels but some of them rebelled against Him. Lucifer, one of the archangels, led the rebellion. Today, Lucifer is known as Satan and all the fallen angels are called demons. God did not create the devil but He created angels and gave them free will; they were free to choose whether to submit to Him or rebel against Him. Similarly, God has also given us free will, and we can choose to accept or reject Him. Why did Satan become the Fallen Angel? Because of pride. Isaiah 14 tells us how Lucifer fell from heaven: he wanted to exalt himself to the status of God, but his pride led to his downfall. “You were the perfection of wisdom and beauty. You were in Eden, the garden of God. Your clothing was adorned with every precious stone — red carnelian, chrysolite, white moonstone, beryl, onyx, jasper, sapphire, turquoise, and emerald — all beautifully crafted for you and set in the finest gold. They were given to you on the day you were created. “I ordained and anointed you as the mighty angelic guardian. You had access to the holy mountain of God and walked among the stones of fire. You were blameless in all you did from the day you were created until the day evil was found in you. Your great wealth filled you with violence, and you sinned. So I banished you from the mountain of God. I expelled you, O mighty guardian, from your place among the stones of fire. This long passage explains how Lucifer fell from grace and how he was transformed from a cherub (a type of angel) to the devil he is today. In the last paragraph, we read that God caused a fire to come out of him and consume him, turning him from the most beautiful angelic being into an ugly, demonic monster. God impressed upon Pastor Bright Kusinyala to write a book in order to equip every believer with the knowledge of the activities taking place in the spirit realm. In his book, Revealing the Truth about Angels and Demons, the spirit world is exposed so that readers can gain insights into what God and His angels are doing on their behalf; and they will also find the evil deeds and plans of Satan and his demons laid bare so that they will be forewarned and be able to take steps to safeguard themselves against them. Through this book, readers will learn how to avail themselves of the help and protection that the angels of God are ever ready to give them; and they will also learn how to live victoriously by using their God-given authority and power over the enemy. Is Lucifer the Only Fallen Angel? The devil is represented as a dragon, and the “third of the stars out of the sky” he flung to the earth refers to the one-third of the angels who joined him in his rebellion against God. Stars represent angels here. Then war broke out in heaven. Michael and his angels fought against the dragon, and the dragon and his angels fought back. But he was not strong enough, and they lost their place in heaven. 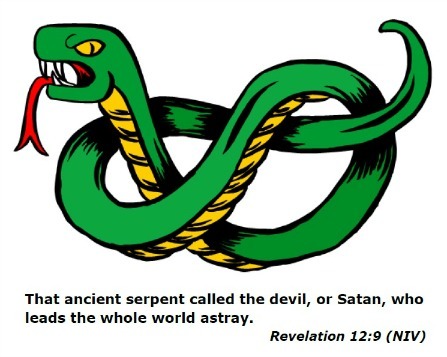 The great dragon was hurled down — that ancient serpent called the devil, or Satan, who leads the whole world astray. He was hurled to the earth, and his angels with him. How does the Fallen Angel and his demons affect our lives today? The answer is simply that we are surrounded by spirit beings (angels and demons) that highly influence the activities and events in our lives. You are a spirit being that has a soul and lives in a human body. That makes it impossible for you not to be influenced by the spirit world: either by God and His angels or by Satan and his demons. This influence is so real and so powerful that it manifests itself in the physical world in the thoughts you think and the decisions you make the activities you carry out, and the events in your life — whether good or bad, depending on who is influencing you. The Fallen Angel and his demons influence people to do evil. To find out more about the destruction he is wreaking all over the world and why he is our greatest enemy, go to Beware the Dark Angel! Scripture quotations marked (KJV) are taken from the Holy Bible, King James Version.